We just bought a 2000 S type Jaguar, it only has 30,000 miles and is in amazing condition. The rear view mirror looked funny but the dealer had no idea why it looked the way it did, we still bought the car. So the next day I googled it and discovered that it was an auto dimming mirror and it had failed, the chemicals that make it work have broke down and I have to replace the mirror. The Jaguar god’s must be looking out for me, day two of owning the car I found a replacement mirror at a local auto dismantling company for 50.00. 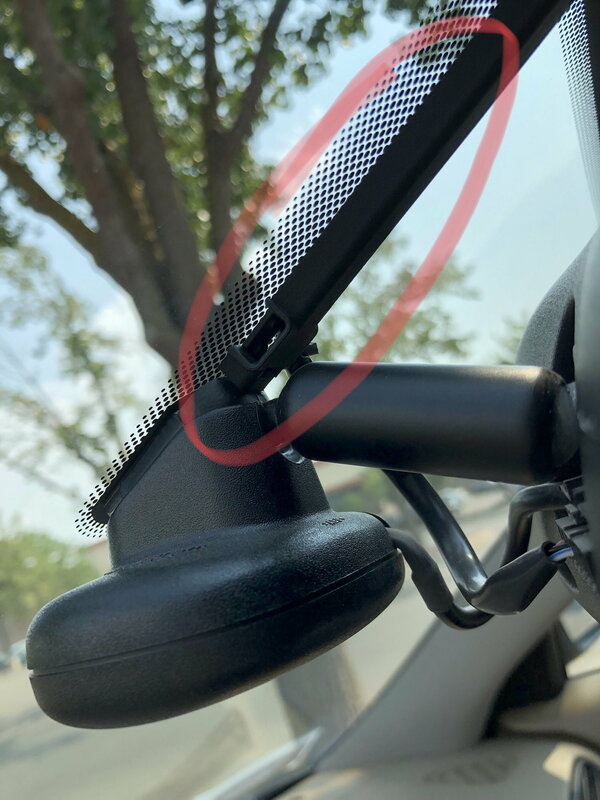 The mirror was the same type that is on our car, they told me how to remove the mirror but I have come across another problem. The mirror I have has the compass and the rain detector, the wiring for the mirror comes down the window and has a cover on it. I have to remove this cover first so I can slide the mirror assembly up to remove it. I need to find out how to remove the cover for the wiring. The cover is not attached to the window, it is attached to the mirror assembly and near the top of the window were the wiring comes out. So if anyone knows the trick to removing the cover it would be greatly appreciated. There is no need to remove the cover over the wiring. The mirror slides up and off the glass mounting point. Remove the electrical connectors and remove the mirror from the glass.